Author Stephanie Thornton has an affinity for lost women in ancient history. I had the pleasure or reading her first book about Empress Theodora last year and absolutely loved it. 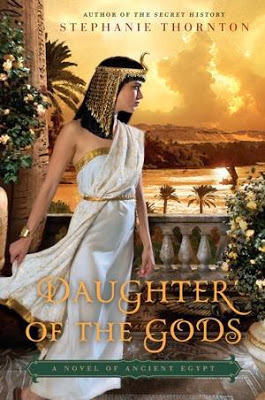 I was thrilled when I heard about her latest novel, Daughter of the Gods, about one of Egypt’s most notorious female pharaoh, Hatshepsut. This time we venture into ancient Egypt where the country has known peace for quite some time. Thutmose reigns and with one surviving son, Thut and two daughters Neferubity and Hatshepsut. Neferubity is to marry Thut to ensure the pure blood lines, while Hatshepsut is free to be as wild as her patron goddess, Sekhmet, is. The goddess of war is a fierce as the lion she embodies and Hatshepsut worships her. Hatshepsut is a skilled hunter and loves racing her chariot through the streets. With few responsibilities, she is free to love as she chooses and do what she likes as it is Neferubity who has the responsibility of carrying on the blood line. But when Neferubity dies suddenly, Hatshepsut’s life changes forever. Hatshepsut is now to marry Thut and secure sons for the Egyptian dynasty. The marriage is an unhappy one almost from the start. When Thut returns from battle in the boarder lands he brings with him a mysterious friend named Senenmut. Thut makes Senenmut his adviser and when Thutmose dies, Thut assumes the throne with Hatshepsut as his queen. Senenmut is now in a position of great power in Egypt. Hatshepsut only job is to produce a male heir while Thut is to continue expanding his legacy by bedding as many women as he can. Soon a commoner, Aset is the first to bear a son for Thut while Hatshepsut has a daughter. Soon Thut himself dies while his heir is still far too young to rule so Hatshepsut assumes the role of regent until he is of age. After having a taste of power, Hatshepsut doesn’t want to give it up. With Senenmut at her side, she makes bold and brazen move to usurp the throne from Thut’s son and rule and pharaoh herself. But with power comes sacrifice, is the price of absolute power more than Hatshepsut can bear? This book was absolutely engrossing from the very beginning! I love how Thornton takes these women and elevates their story far above an average biography. While her novels are ‘fiction’ many of the events and people are real and did actually happen. 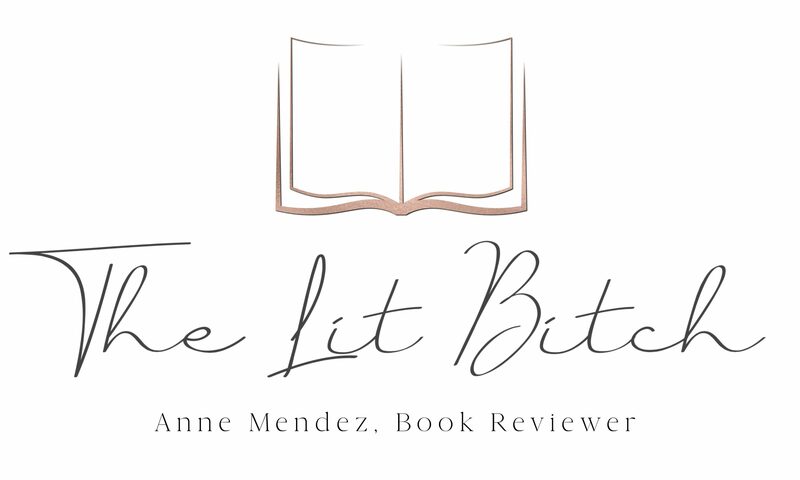 She makes a perfect story by blending real life and taking liberties with some portions of the story to make it fiction. It makes for entertaining and educational reading at the same time. One of the things that I loved about this novel was the use of animals as symbolism. In ancient Egypt especially, the use of animals in symbolism was extensive. We see it in the gods and goddesses, as well as animal companions. I loved how Thornton stayed true to the era but continuing to use these animals throughout the story. Hatshepsut’s story was moving and memorable. I didn’t know much about her or her rule when I read this book but now I feel as though I got to know her and she was truly a strong, independent woman who suffered and continued to rise after the tragedies that she endured. The love story between Hatshepsut and Senenmut was believable and romantic. I found it easy to relate to both of them and I found joy in their love and devotion. The only thing that I didn’t care for with this novel was some of the language. I realize for readability and appeal, some of the language had to be updated and modernized. But for me, there were a lot of colloquial and modern phrases that just didn’t work. For example when Aset tells Hatshepsut at the chariot races “don’t kill your self” and basically says show the boys how it’s done. It just seemed forced and out of place in ancient Egypt. There was also a lot of references to Egyptian gods and goddesses and some use of ancient Egyptian language that I wasn’t always sure about. I would have liked to have some things explained more. Also I would have enjoyed an appendage or map in the back that explained where things were. For example, where was Nubia but today’s geography? Where was Punt? I found myself on Wikipedia a lot looking to clarify some of these things. I also wanted to praise yet another glorious cover. Thornton has really found a wonderful artist to do her covers. This cover is eye catching and I love the bright colors. It really played up to the ‘Egyptian gold’ visuals that I imagine when I think of Egypt. I LOVE this cover. This novel had a lot of things to love. Strong characters, intriguing story, rich history, forbidden romance, tragedy, and conspiracy. If you haven’t read Thornton before, she is a marvelous story teller and you will learn a little history while enjoying a truly engaging story!